Some of the outstanding still red wines from Portugal's Douro Valley are hot news and none more so than the fantastic Chryseia. This is a project which began back in 1999 when Bruno Prats (of Cos d’Estournel fame) teamed up with the Porto based Symington family (renowned for their ownership of the great houses of Graham, Dow and Warre). The original wine was made from grapes drawn from selected blocks of the best Symington Quintas. 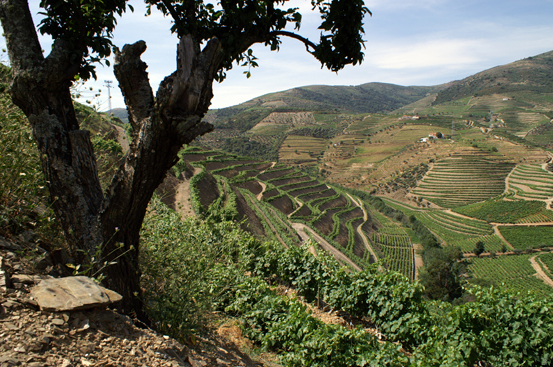 Following that, specific vineyards were purchased – notably Quinta da Perdiz in 2004 and Quinta de Roriz in 2009. Over recent years, the quality has gone from strength to strength. We have been fans and devotees of the wine for a while now but due to the small production levels and restricted allocations were never previously able to promote the wine fully. It’s probably of no surprise that the vintages which are great for Vintage Port are often the best for the still wines produced here too. This was perfectly illustrated in 2011 where Chryseia gained the accolade of being named 3rd best 'Wine of The World' in the Wine Spectator Top 100, causing its secondary market price to shoot up to over £1500 per 12 bottles! We are therefore very excited to present the newly released Chryseia 2016, coming from another famous Douro vintage where all of the top port houses declared vintage wines. Whilst this vintage witnessed one of the hottest and driest summers on record, it was preceded by a very wet growing season, which mitigated the effects of the drought. Rain showers towards the end of August and again during mid-September refreshed the vines and were decisive in achieving balance and harmony within the wines. The more moderate daytime and night time temperatures of the second half of September were equally important for the successful outcome of this great year and the retention of balanced acidity. We passionately believe that Chryseia is a wine that deserves more recognition on the international stage and has largely passed under the radar to date. We can’t recommend this wine enough and at £450 per dozen bottles in bond, it offers fabulous value for money. “Made from a blend of 60% Touriga Nacional and 40% Touriga Franca, this wine typically spends 12-15 months in 400 litre barrels before bottling. Saturated, deep purple in the glass, with an explosive, bold and floral nose of violets, bramble and blackberry. With a little air notes of baked vanilla and Danish pastries come through, but support rather than overwhelm the dense fruit at the core. The palate is initially plush, juicy and rounded, with supple tannins framing a fruit core that bursts with black fruit juiciness. Through the mid palate this gains momentum but also restraint, thanks to increasingly chalky tannic texture, high toned floral notes and peppery spice. This is both refined and rich, with layers of spice building through to a very long finish. Delicious despite its youth, but this will only improve with time in bottle for those who have patience."